2. 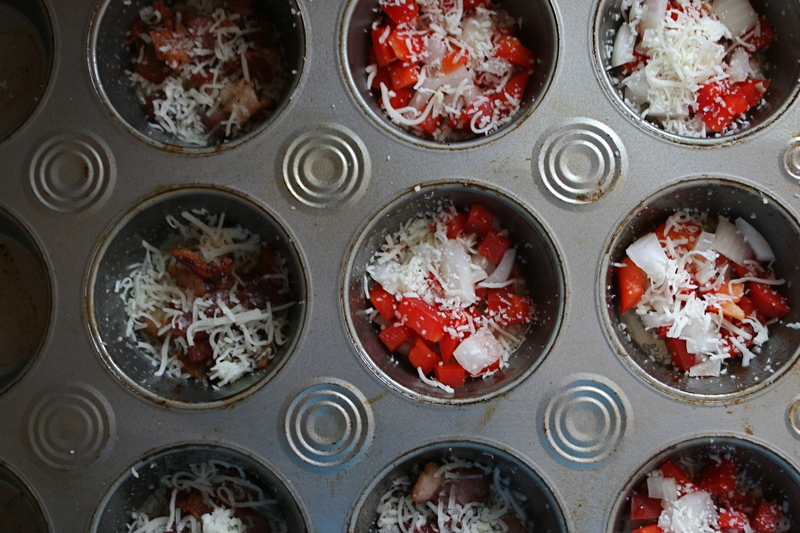 While the oven is preheating, chop uncooked bacon and saute in pan until cooked or crispy. Chop onion and pepper and set aside. Crack 6 eggs in a large bowl and whisk with milk until mixed. 3. 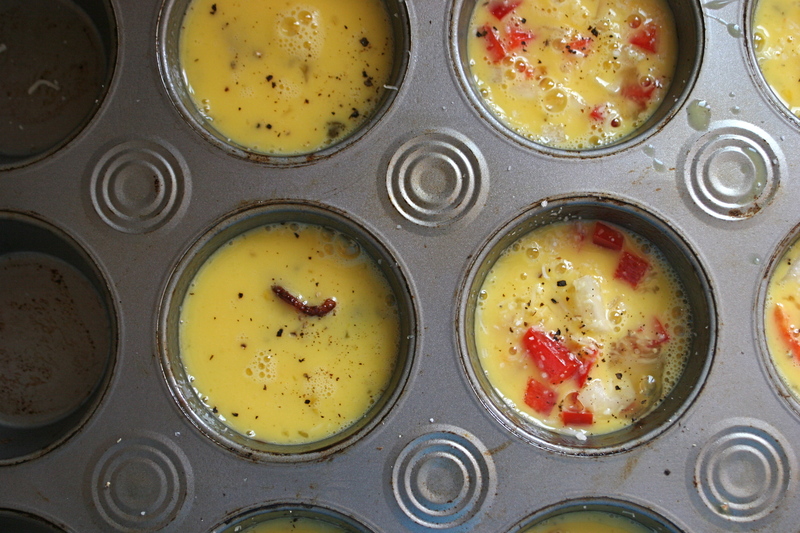 In a large muffin pan, spray Pam or any other cooking spray in each compartment. Divide ingredients into each of the nine compartments for any mixture your prefer. I made peppers, onions, and cheese for one half and just bacon and cheese for the other half. 3. Cook until big, fluffy, and golden around the edges, about 20-30 minutes. For crispier edges all around, up the temperate of the oven to 375 degrees F.
Add ketchup or sriracha for some spice! These won’t last and you’ll want to make them again with perhaps some more variety. They were super easy and guaranteed to satisfy the morning hunger. Add any other chopped vegetable you prefer, mix it up with some scallions instead of onions, or try sausage instead of bacon. Next time I think I’ll try it with some mushrooms, broccoli, spinach, and maybe some canadian bacon. Probably one of the most private things in the world is an egg until it is broken. Sounds yummy! Will you make these when you come home to visit?– Dad.